Going solar saves you money. Many power experts agree that the price of electricity/energy in general will continue to increase. This means that homeowners and businesses will continue to pay high costs of power if this trend continues. However, if you produce your own power, you can prevent paying the high cost of energy—especially at this time when energy prices are unpredictable. On a larger scale, if households switch to other types of alternative energy including solar energy, the nation’s spending on imported oil will greatly decrease. Climate change is one of the biggest challenges the world is facing today and has raised an alarm to all the sectors of the economy. That’s why it is in the high priority for many governments. Everyone has a chance to play their part to mitigate climate change and behavioral change is one option to help in switching to solar energy. So if you want to do your part to save this planet, drawing your power requirement from the sun will make a great difference. Government gives incentives to those who use alternative form of energy. Many homeowners and businesses are discouraged to install solar electric systems because of the high initial cost of solar electric systems. However, many states offer federal tax credits and upfront rebate that covers 20% to 30% of the total system cost. These offers are relatively good considering the significant increase of energy in the recent years. Check today with your state government the rates it offers if you decide to make the switch to solar. If you don’t have any cash upfront, don’t worry! With the onset of third party financing in many states, leasing of solar or solar power purchase agreements have become very popular. 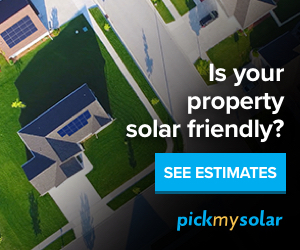 This means you can obtain solar panels for free or going solar with zero down payments. In other words, you don’t have to put any money upfront to install solar and the price you pay every month is slightly lower than your current energy bill. Solar power systems are dependable and require little or no maintenance. Photovoltaic (PV) cells that are used in solar power systems are capable of providing electricity for a very long time. Originally developed for space use, PV cells require little or no maintenance. The proof is, most satellites orbiting earth use PV cells that are in harsh environment, not maintained but are still working properly. The manufacturers of solar panels can give as much as 25-years warranty. Talk about quality and dependability. Solar energy helps improve the quality of life. Solar energy is one of the cleanest sources of energy that we have today. It is emission free and thus with solar we don’t have to worry about emissions because we will reduce the need or demand on coal, oil, or gas power plants that emit harmful gases. In turn, using solar energy helps clean the air and improves the quality of life of every individual. Switching to solar today has been simplified using solar panel cost calculator to inform you about how to go solar.